Vuković and Braun will join the NASL club for the 2016 season. SACRAMENTO, Calif. – Sacramento Republic FC have completed arrangements by which defender Nemanja Vuković and forward Justin Braun will be sent to the NASL club Indy Eleven for an undisclosed sum. Vuković and Braun were two of the earliest signings with Sacramento Republic FC during their inaugural season and played in the 2014 USL Championship match. Vuković appeared in 52 USL matches for the club, scoring two goals and recording three assists from his defensive position. 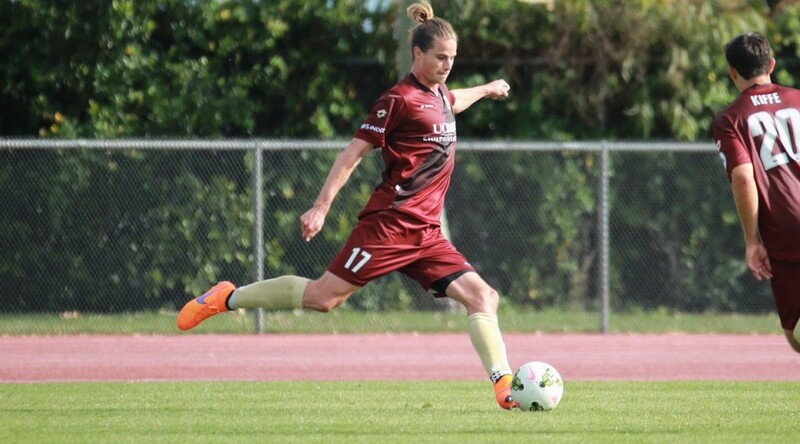 Vuković scored two goals in Sacramento Republic FC’s 4-1 quarterfinal victory over Wilmington Hammerheads FC in the 2014 USL playoffs. Vuković is second all-time in USL minutes played for Sacramento Republic FC. Braun was named the first captain in club history and served as captain through the 2015 season. He appeared in 43 USL matches, scoring 12 goals and recording an assist. He scored the first goal in club history against LA Galaxy II on Mar. 29, 2014. The club will begin training camp on Feb. 1. For more information visit SacRepublicFC.com.